Applications are invited from the eligible candidates for serving as social worker member of the juvenile Justice board constituted under the Juvenile justice (care and Protection for children) Act, 2015 in the districts if Purba Midnapur / Nadia/ Bankura / Purulia / Darjeeling / Jalpaiguri / Coochbehar of the state of West Bengal. 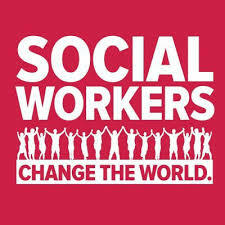 The social worker member of the board shall be pad not less than Rs. 1500- per sitting which shall include sitting allowance, travel allowance and other allowances as the state Govt. may prescribe. Essential qualifications : shall have at least completed 7 years of experience of working with children in the field of education , health or welfare activities. We are a leading executive search firm with years of experience finding talent that delivers results. Our recruitment consultants combine professional search experience with industry-specific expertise.